If you work at an office, you probably spend a considerable amount of time during your day in front of a computer. Add to this the hours you stare at a monitor in your free time, and you can easily end up with a common eye condition, known as computer eye strain or computer vision syndrome. Let's see what causes this issue, the most usual symptoms, and what measures we can take to relieve our eyes and prevent it. Do I suffer from computer eye strain? How I cope with computer eye strain? Have you ever suffered from computer eye strain? Our eyes are designed for viewing objects at varying distances, both far-away placed and near ones. When we keep the eyes focused at a close object, like a book or a computer, for a prolonged period, we tire them. 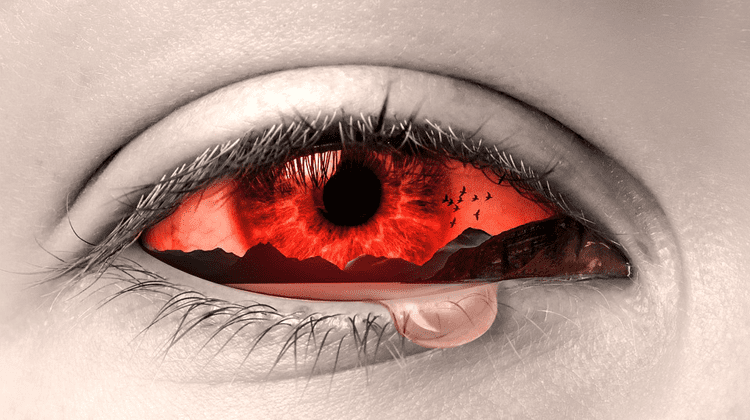 Since such tasks are often visually intense, they put extra strain on our eye muscles and gradually exhaust them. This can cause several symptoms, from pain in the area of the eyes to headaches and vertigo. 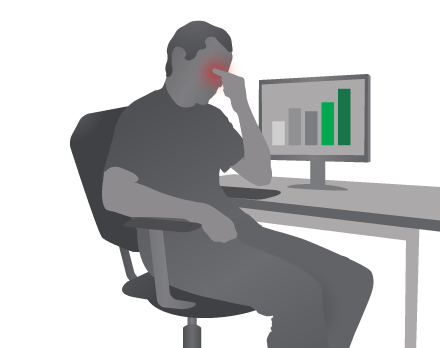 For an artificially-lit device like our monitor, these symptoms can only get worse. As we repeat our daily routine, this has an accumulative effect on the computer eye strain. More symptoms will keep appearing and make carrying out our work difficult. Most of the time, computer eye strain won't lead to any permanent damage to our eyes, but it's still an unpleasant disease we'd better keep off. 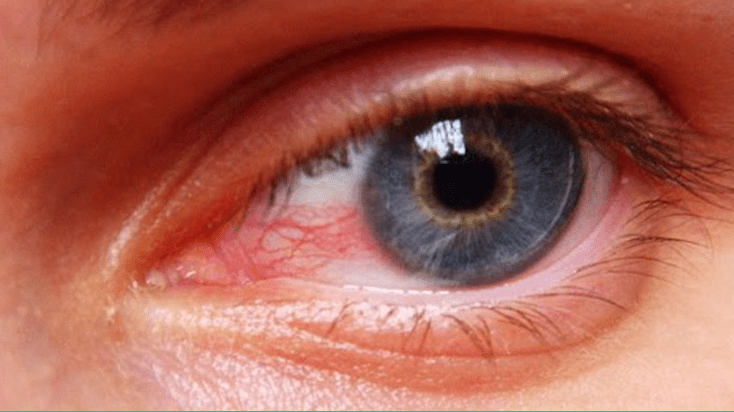 Irritation: Our eyes feel itchy, are red around the edges, they get dry quickly. We gradually become more sensitive to light. Fatigue: If our eyes are fatigued, we are having problems switching focus on different objects, and we may be experiencing pain. Blurred vision: After some period without rest, text becomes hard to read, words mix together, or we see them double. Headaches: Persistent computer eye strain can cause headaches, which means it's becoming more severe. 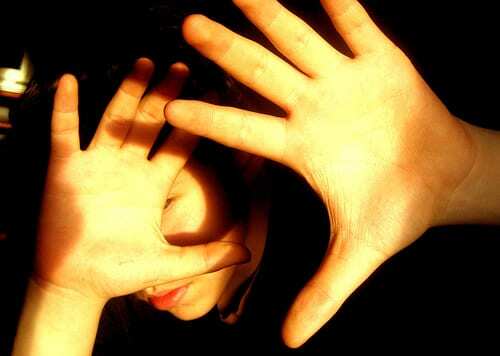 Dizziness: Same as the headaches. Do any of these symptoms seem familiar? Then, chances are you have probably experienced some sort of eye strain. If we restrain from using the computer temporarily, our eyes will start recovering. However, it's better to cope with the issue as soon as we begin feeling any symptoms, rather than wait until it worsens. After all, we may not be able to stay away from a computer, especially if our job involves using it. To decide how to tackle computer eye strain, we have to take a better look at how it develops. A computer monitor certainly isn't the best thing to focus our eyes on all day long. But other general factors can lead to eye strain. An uncomfortable workspace, combined with certain work habits, will contribute to the condition. Other factors include poor eye care, improper lighting, bad posture, and more. The first step we should consider is changing some of our habits while we use the computer, to prevent straining our eyes in the first place. A big chunk of the time we spend in front of a computer involves reading text. After some hours, reading on the screen can become really tedious, so we want to make sure we set up the environment appropriately. When it is possible, print what you were going to read online, or use an e-reader if you have one. 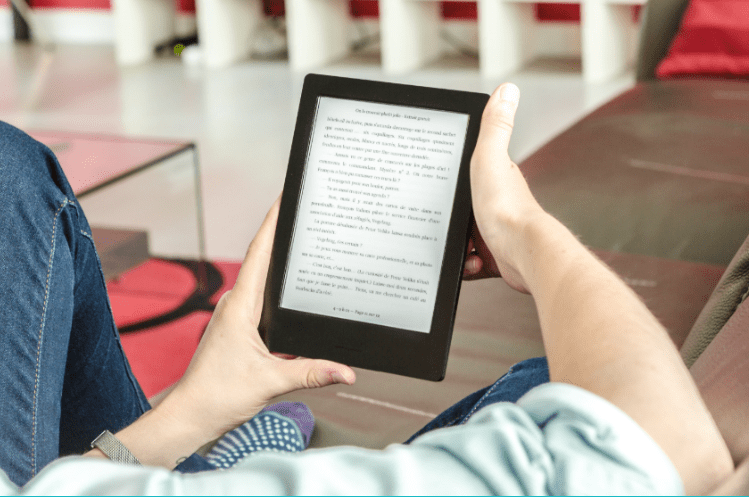 Reading offline under the right lighting is much smoother for our eyes, while an e-reader's electronic paper better resembles a printed text than our screen since it is not back-lit. If none of the above is an option, we could at least facilitate our eyes while reading text on a screen. If we find ourselves striving to read the words, we can zoom in to enlarge the text. When using a browser or some text editor, we can do this by holding Ctrl and scrolling the mouse wheel. 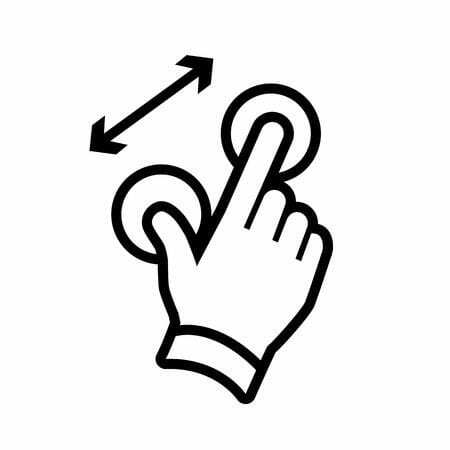 If we are on a laptop, the touchpad will most likely include a zoom-in gesture. Taking regular breaks to re-focus on a longer-distance object is essential to help our eye muscles relax. 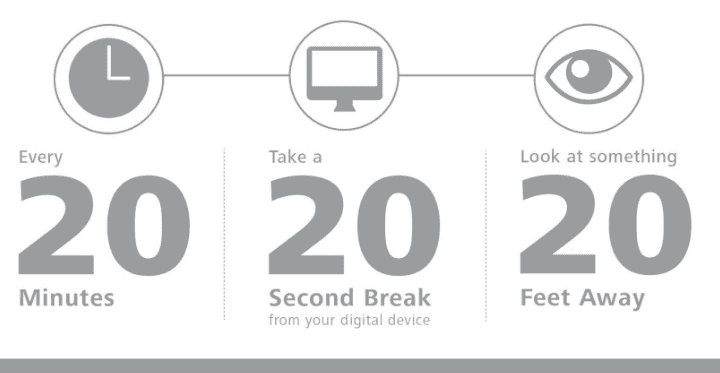 A break schedule you might have heard of is known as the 20-20-20 rule: we take a break every 20 minutes, for at least 20 seconds, looking at 20 feet away or further. Alternatively, we can relax our eyes by taking the same breaks and keeping them closed for half a minute. Our symptoms should subside once we begin regularly resting our eyes. Since keeping all these pauses in mind might prove harder than it seems, we can use something like a timer or set notifications on our smartphone. There is even an "eyecare" app, designed precisely for this job. The screen is one of the main causes of computer eye strain, so we should make sure it's in the best possible position, and that we use it with the right settings. First, we have to set the brightness and contrast correctly. We need our screen to be bright and clear, but too bright set-ups with high contrast can tire our eyes. If we use the computer at night, we should also adjust the brightness accordingly. The screen shouldn't be too dark either, so we could make use of some background lighting, to ease the burden from our eyes. 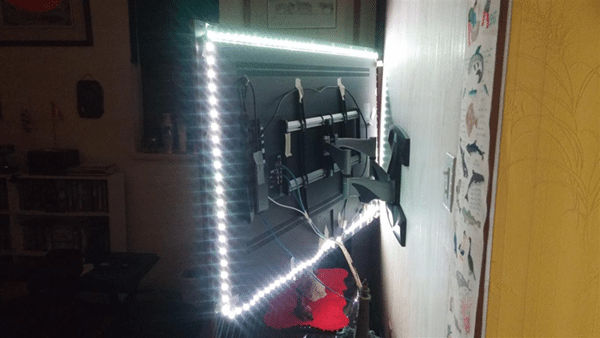 One way to achieve this is by adding some lighting strips behind the computer monitor. This way we create bias lighting that will increase the overall brightness in the room while we won't be directly facing any source. 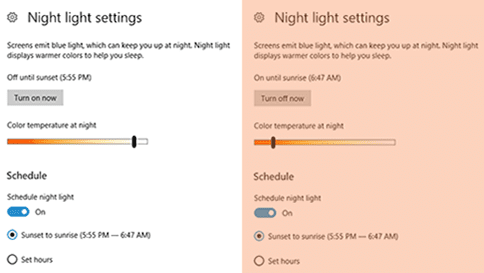 Additionally, if our computer runs Windows 10, we can toggle the Night Light option on. This setting lowers the blue light emissions, making it easier for our eyes, especially at night hours. 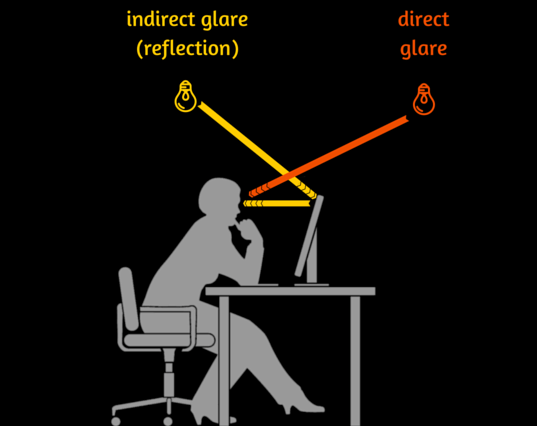 A glaring screen can also potentially contribute to computer eye strain. During the day, we have to make sure we prevent glare from windows, lamps, or any other light source. It is altogether preferable to receive light indirectly rather than directly. 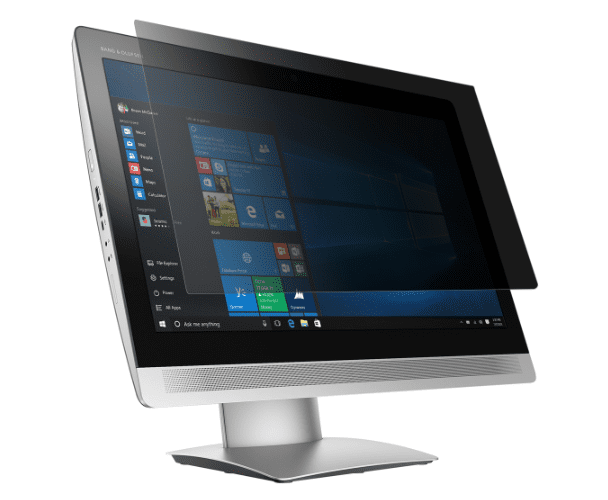 We could consider using an anti-glare screen protector if our monitor is way too glossy. 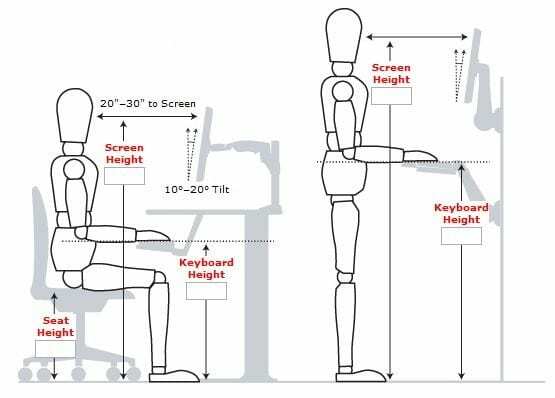 As for the monitor's position, we need to keep in mind that the minimum distance from eyes should be around 25 inches. We also don't want to stare at it with our eyes wide open. The ideal position for the monitor is slightly below eye-level, with the top of the monitor at the eye-level. This way our eyes are less exposed to the light and will stay a little more hydrated. Keeping track of our eyes' health is essential to prevent computer eye strain or detect it before it fully develops. One key issue is making sure to maintain our eyes' moisture when we use the computer. We tend to blink less often when we stare at a monitor, which in turn, dries our eyes quite fast. 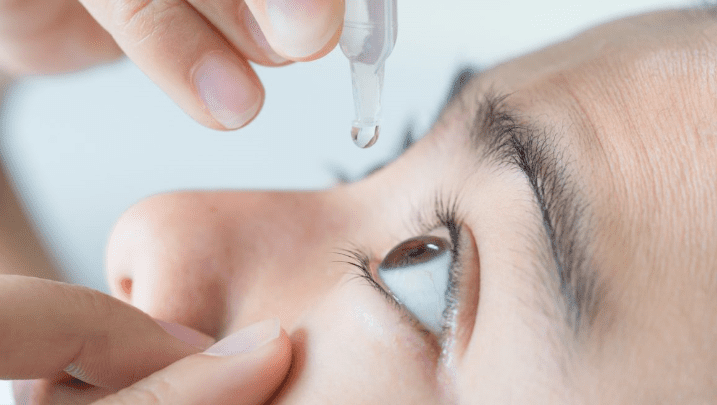 If we need immediate results, a simple solution is to use some natural eye drops. Artificial tears, as we often call them, are totally harmless and will instantly lubricate our eyes. We can apply them every few hours and our eyes will feel instantly relieved. If you happen to wear contact lenses, you can do this at even shorter intervals. Also, we should give our eyes some time off, after long hours in front of a monitor. If our work involves working with a computer, we could consider avoiding too much time on TV or using our PC for the rest of the day. And, whether if we wear glasses or not, we need to have our eyes checked at least once a year, to make sure everything is OK.
How long do you usually use your computer? Have you experienced any of the symptoms mentioned in the guide? 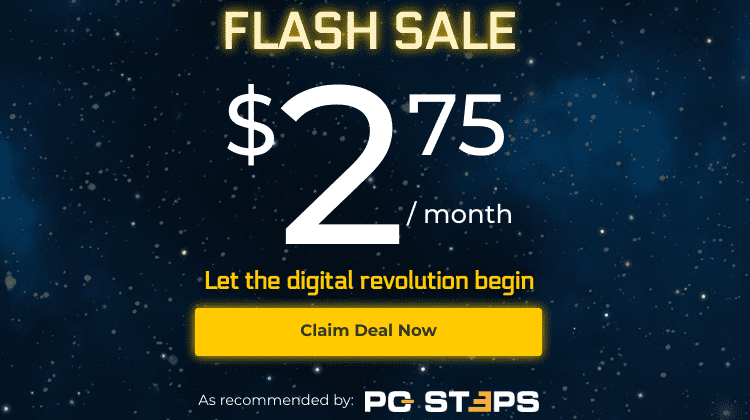 If you'd like to suggest some other way to deal with computer eye strain, leave us a comment.